Hot on the heels of Sam and Francis, Debbie and Paul arrived in Paris for a few days stay, before continuing south to Perpignan. They brought with them the inclement weather from the UK but it did not deter them from discovering most of Paris on foot. A marathon walking tour took in Ile de la Cite, Notre Dame, the Latin quarter, the Louvre and the Tuileries, before a triumphant march up the Champs Elysees and a trip up the Arc de Triomphe (for those with the energy - just Paul then). We waved goodbye on the 28th, and whilst they headed for Orly and their flight south, we took the RER to Charles de Gaulle, from where we were returning home to England for a week's shore leave. On our return we brought back 300 pages of book proofs to check, which task happily coincided with a week of constant rain in Paris. 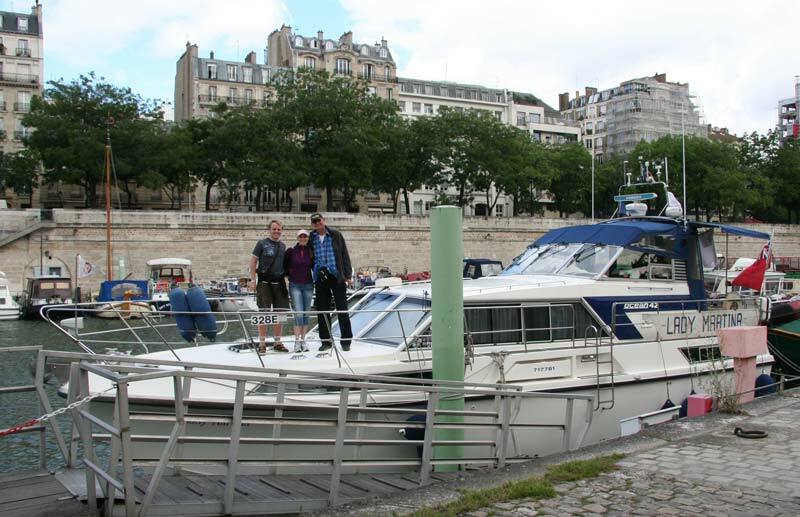 It was no time to be cruising the mast-down waterways of France, so we were glad of the diversion, and of the nearby internet cafes. We had planned to set off once our work was completed, but with only three days to go until Bastille Day, it seemed a shame to leave the capital on the eve of one of its biggest celebrations of the year. A 'Bal de la Bastille' was planned for the eve of the big day, which was to take place on our doorstep, in the Place de Bastille, and we were excitedly informed by the tourist office that we could 'dance on the Place - if we wanted'. An elaborate scaffold was already being erected and it was clearly going to be a Big Event so we made our peace with the harbour office, promised faithfully to leave promptly on Monday morning, and settled in for the party weekend. 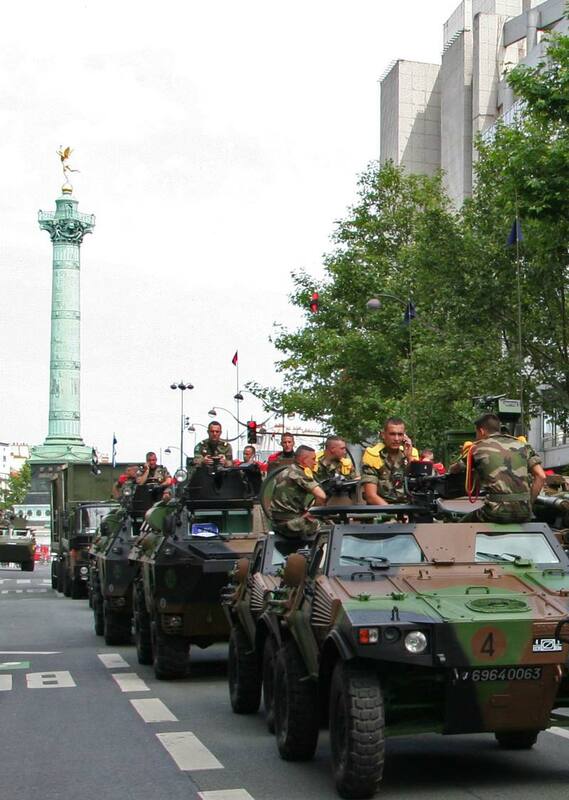 Bastille Day itself is celebrated by a military parade on the Champs Elysees, part of which included a flypast of most of France's aerial power, whose onward route took them directly over our boat. After the parade, all the participants were dispatched to the various arrondissements to win the hearts and minds of the French people. Tank crews had obviously been briefed to be photographed with women and children and seemed to accept the parade through the local streets as part of the days events. Paris's gift to its people on Bastille day is free events around the city, including entry to the Louvre, the Musee de l'Armee and a matinee at the Opera. 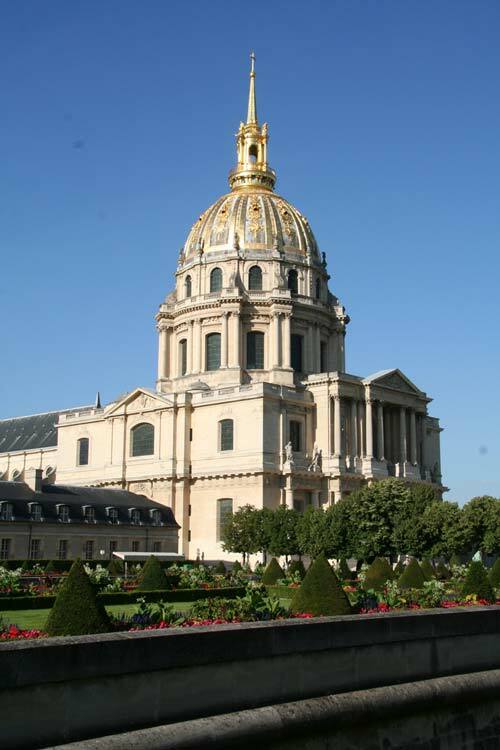 This generally meant queues even longer than normal, but we joined in with the military theme to the day and found our way into the Musee de l'Armee, housed in the impressive Hotel des Invalides, for a look at the French perspective on the whole wartime story. We noticed a lot of 'there was a big battle, which the French led...' type of displays, and the successful outcome was credited to the appointment of Marechal Foch to coordinate the allied effort. 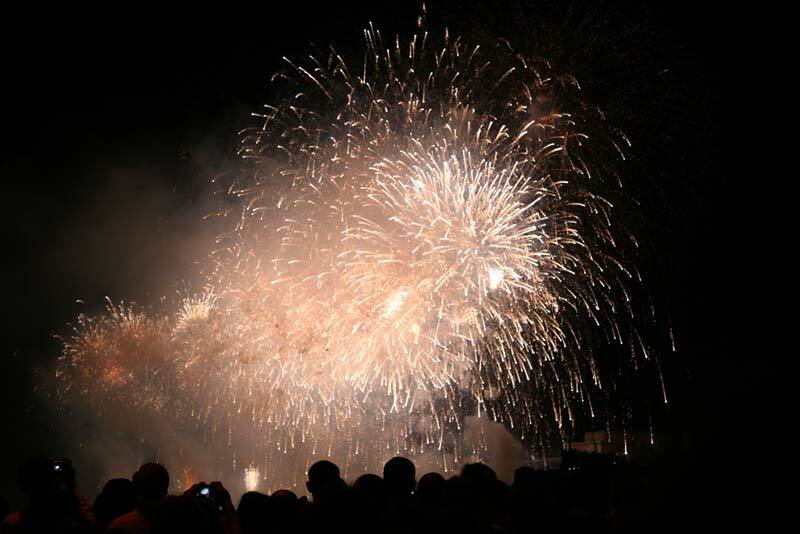 The day's celebrations were rounded off by a huge firework display over the Trocedero Gardens, and an even bigger crush in the Metro to get there on time. All of Paris seemed to descend on the area between the Champ de Mars and the Pont de l'Alma, and they were still packed like sardines into the train trying to get home when we squeezed out at Bastille station at 1.30am.